This is a high quality marker for all types of drawing and graphic use. The ink is alcohol-based and the marker has two tips, one small for details and one broad, calligraphy tip. 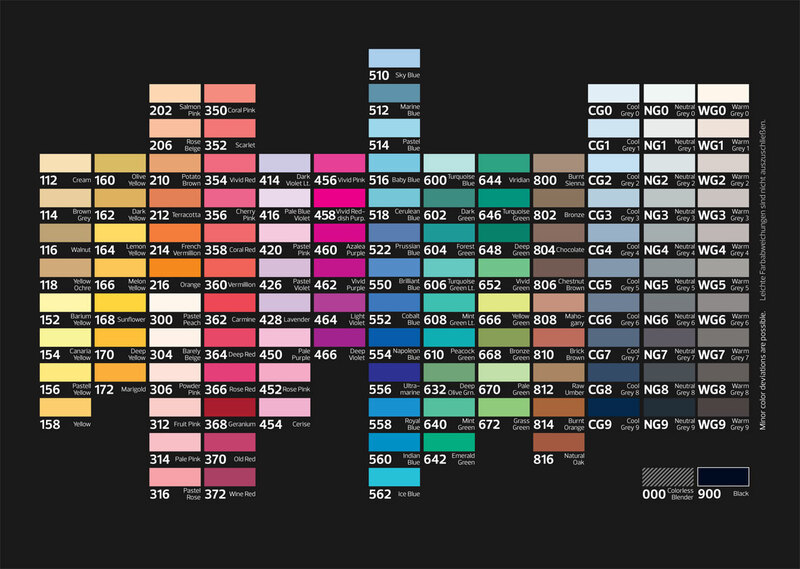 There is an total of 124 brilliant colors to choose from.